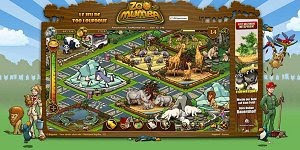 Zoomumba is a browser-based casual game that places you in charge of an amazing zoo. Keep the animals healthy and happy and make sure the visitors are having a wonderful time. Improve the zoo with new animal species and several upgrades, communicate and interact with other players and turn your zoo into the most impressive of all.